Chicago, IL. 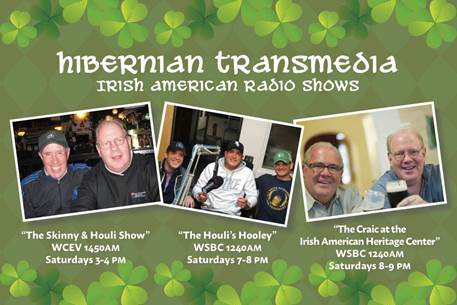 On Tuesday July 3, 2018 at 8PM, Hibernian Transmedia, a local public charity dedicated to Irish and Irish American culture, will pre-record all three of their weekly radio programs in a one-hour extravaganza, set to broadcast on Saturday July 7, 2018. The very popular “Skinny & Houli Show Irish Hour”, which will begin recording it’s tenth year on the air this November, will join with “The Houli’s Hooley”, and “The Craic at the Irish American Heritage Center” for a one-hour presentation before a live audience in the Fifth Province Pub at The Irish American Heritage Center, starting at 8PM. Fans of all three shows are invited to attend. There will be music and a cash bar as well as a raffle! 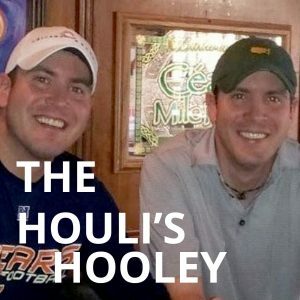 The Houli’s Hooley stars twin brothers Paddy and Bill Houlihan along with “the greatest human in the world” Clay O’Brien and is heading into their fourth year on the air. This show is a hybrid of Second City improv and generation Y (Why?) shenanigans. 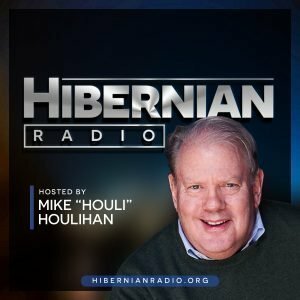 The Craic is co-hosted by Heritage Center President Geno Cooney and media personality Mike Houlihan and will start its third year this December, showcasing Irish musicians from all over the globe. All three shows feature news, music, and comedy of the Irish American community of Chicagoland. The July 3rd extravaganza will also feature All-Ireland fiddler Eimear Arkins and harpist Eileen Gannon, stopping in Chicago for this one night only while on tour. Show business insiders are heralding this cross marketing stunt across generations of Irish and Irish American listeners as the greatest thing since Guglielmo Marconi invented the radio in 1901. Don’t miss this opportunity to hear and view the hosts of these three iconic radio shows as they break new ground with music, jokes, and hyperbole with an Irish American flair. The show will be heard on Saturday July 7th on WCEV 1450AM from 3-4PM and WSBC 1240AM from 7-8PM and 8-9PM! Tuesday July 3rd will be an epochal day in radio history.